Belfry Luna is a location in Dark Souls 2. This optional secret area features a PvP covenant and an interesting side story for the player. 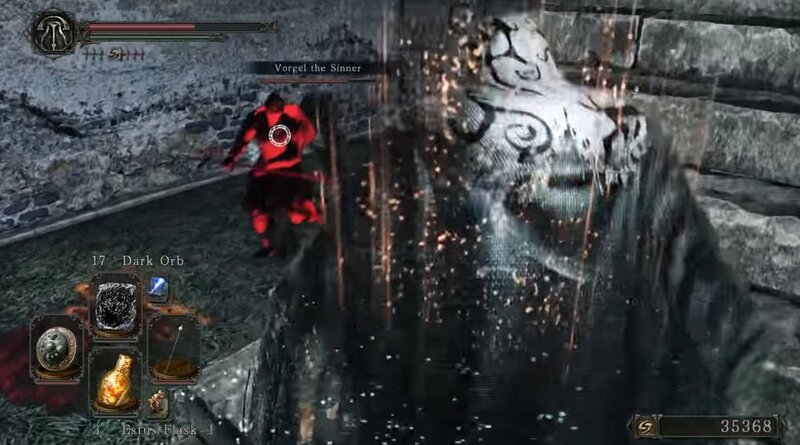 Completing it before attempting Sinner's Rise will give the possibility of making the boss fight there more accessible. This tower is defended by the Bell Keepers covenant and players can be invaded by covenant members until you reach the boss. Burning a Human Effigy DOES NOT provide protection against the Bell Keepers. 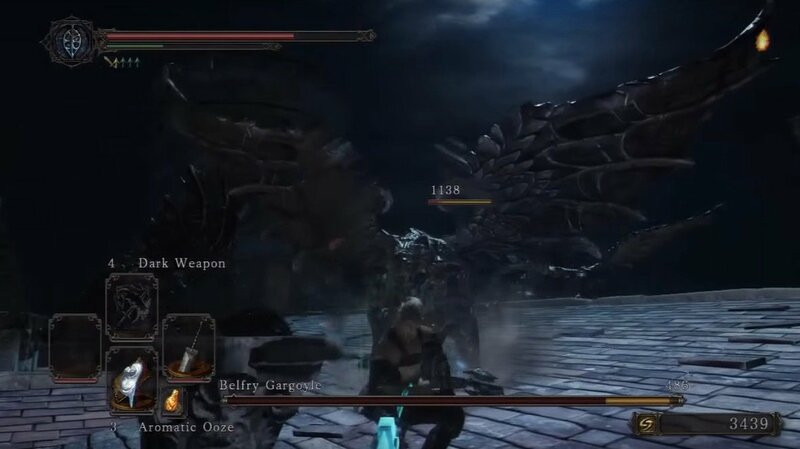 If you're finding it difficult to reach the boss without getting invaded try disconnecting your console beforehand this disables the online features allowing you to pass this area unhindered. Simply reconnect once you are out of the Belfry. 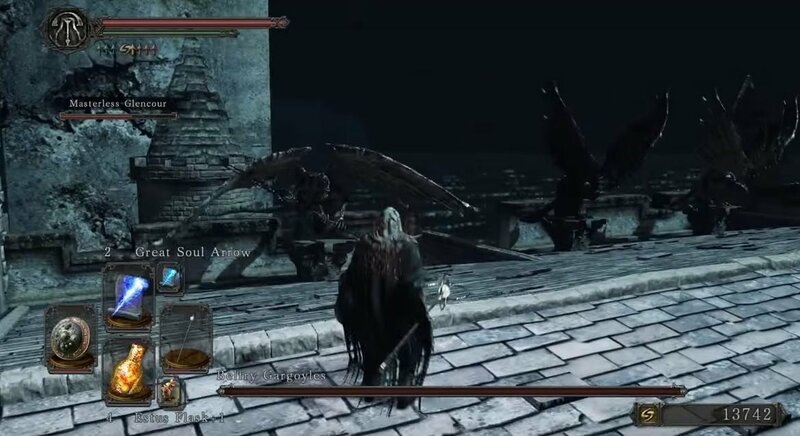 This is one of the most active invasion areas in the game you will very often be invaded by 1 or 2 grey spirits at a time in addition to possibly an arbiter or dark spirit. 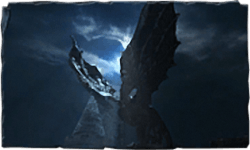 The dark spirit or arbiter spirit can choose to either attack the host or the grey spirits creating very interesting PvP skirmish scenarios. 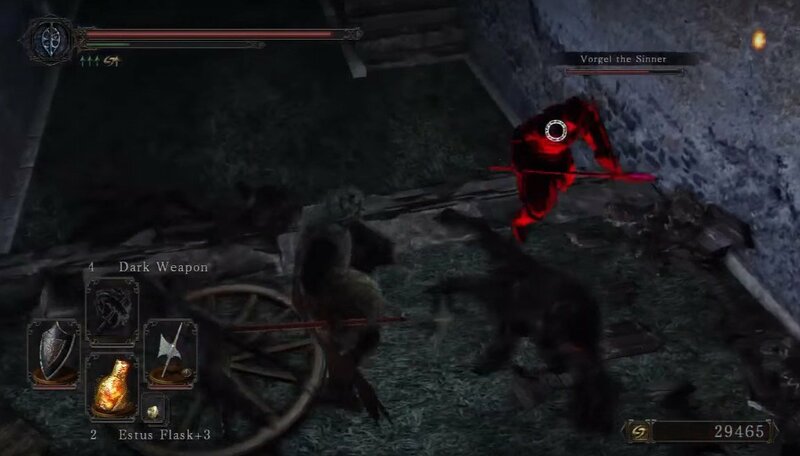 Warning: Repeatedly disconnecting while there is an invader already in your world will disable your online play and require you to use a Bone of Order. Upon entering you'll encounter the Bell Keeper. If you exhaust his dialogue he will invite you to join the Bell Keepers covenant. 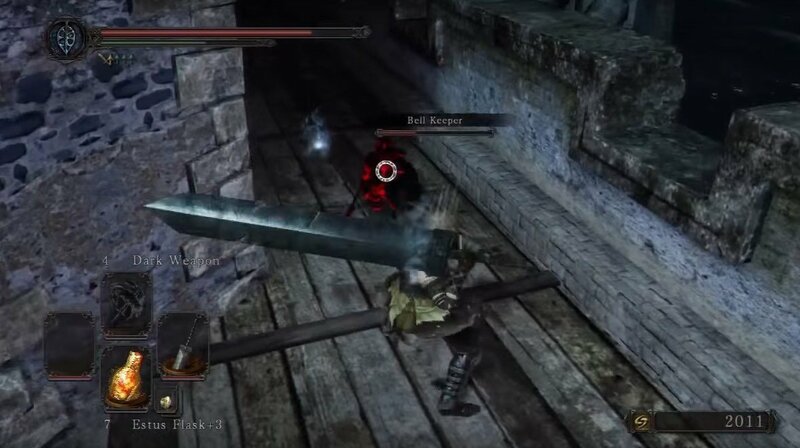 Continue up to stairs and you'll encounter a phantom version of the Bell Keeper; at close range he will use his axe, but at long range he may pull out a bow. Be wary of the hole at the top of the stairs. Once dealt with, look for the hole near the middle of the room and drop in. You'll find yourself in the room blocked by the pile of dead keepers. Open the nearby chest for a Blue Tearstone Ring. On your way back to the staircase, you will also find a corpse with a Skeptic's Spice. Under the staircase that leads to the third floor, there is a summon shade sign for Masterless Glencour. On the third floor, you'll find 2 more Bell Keepers, and a fog door blocked by some bars and a ladder. At the top of the ladder you'll encounter yet another four more Bell Keepers, with the possibility of another invading bell keeper. To prevent being overwhelmed, immediately run behind the pillar next to the ladder, and kite the two Keepers until dead, then pull the other Bell Keepers, one at a time. Blocking is not recommended as they still do considerable damage through shields. After they have been dispatched, you can grab 2x Radiant Lifegem and 2x Twilight Herb from the nearby chest, and another Skeptic's Spice from a corpse leaning against one of the corner supports. After the bell is rung the fog door leading to the boss can be accessed. After the fight look along the roof's edge to find a Soul of a Proud Knight. Inside the other tower is a set of stairs going down to a chest, which holds the Southern Ritual Band. Proceeding out the door, you'll see a Bonfire at the end of wall and next to it a ladder leading down. At the bottom is a large pack of Stray Hounds. If you wish to engage using melee, slide down quickly to avoid the dogs bunching up at the bottom. Then run up the stairs and kill them one at a time. If too many pile up at once you can jump down the stairs. You will sustain minimal fall damage, but normally it's worth it. If you wish to use ranged attacks, get the dogs attention and climb back up the ladder. The dogs can be auto-locked from the top of the ladder. Once you are at the bottom a NPC black phantom by the name of Vorgel the Sinner will invade. He attacks rapidly with a spear, but is considerably slow. He is relatively easy to kite with ranged attacks, but you may find yourself running out of stamina if you try blocking with a shield. He drops Human Effigy when defeated. After the dust has settled go to the other end to find a Petrified Something, a Brightbug and the Dragon Tooth in the short tunnel, and an Enchanted Falchion on the body at the top of the steps. Stray Hounds (rare drop: Human effigy). Upon entering you'll encounter the Bell Keeper. If you exhaust his dialogue he will invite you to join the Bell Keepers covenant. Continue up to stairs and you'll encounter a phantom version of the Bell Keeper; at close range he'll use his axe, but at long range he may pull out a bow. Be wary of the hole at the top of the stairs. Once dealt with, look for the hole near the middle of the room and drop in. You'll find yourself in the room blocked by the pile of dead keepers. Open the nearby chest for a Blue Tearstone Ring. On your way back to the staircase, you will also find a corpse with a Skeptic's Spice. Under the staircase that leads to the third floor, there is a summon shade sign for Masterless Glencour. On the third floor, you'll find 2 more Bell Keepers, and a fog door blocked by some bars and a ladder. At the top of the ladder you'll encounter yet another four more Bell Keepers, with the possibility of another "invading" bell keeper. To prevent being overwhelmed, immediately run behind the pillar next to the ladder, and kite the two Keepers until dead, then pull the other Bell Keepers, one at a time. Blocking is not recommended as they still do considerable damage through shields. After they have been dispatched, you can grab 2x Radiant Lifegem and 2x Twilight Herb from the nearby chest, and another Skeptic's Spice from a corpse leaning against one of the corner supports. Pull the lever up here to gain access to the boss mist below. After the dust has settled, go to the other end to find the Bastille Key in the short tunnel, and an Enchanted Falchion on the body at the top of the steps. If you are planning on doing an a "no bonfire run" just skip the bonfire past the boss. DO NOT WALK DOWN THAT LADDER. Can someone correct the spelling of Lost Bastille where it says "Previous:"? It&apos;s missing the second L so the link is broken. Which bonfire do I use a bonfire ascetic on to respawn the Gargoyles? I need the map layout, the enemy positions, item locations, a full video walkthrough and some tips for this place. 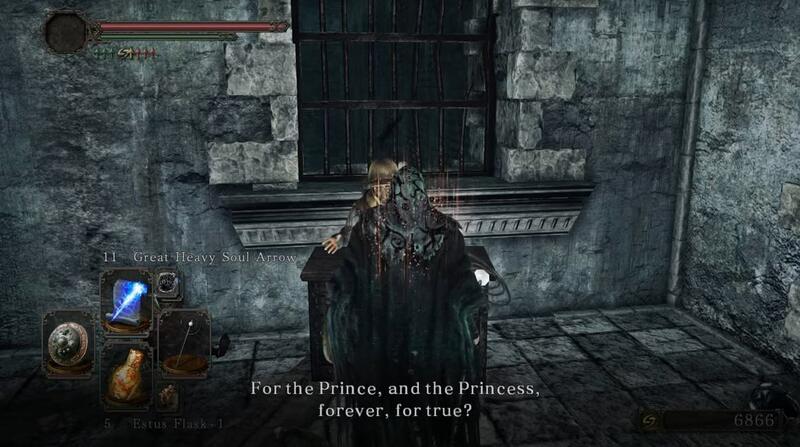 If your a casul that is, git gud scrub. anything about the creepy scream ? there seems to be a "one friendly summon only" restriction in Belfry Luna, as well as dark spirits being able to freely invade you regardless of how hollowed you are. Doesn&apos;t say how to get there. There is also an enchanted falchion on a corpse at the top of the stairs.